A massive recall of the iPhone 4 over its antenna design flaw is ‘inevitable’, say PR experts, because protecting the Apple and iPhone brands is more important than the multimillion dollar cost to fix the issue. Apple is stuck between a rock and a hard place. The iPhone 4 is their most successful introduction ever and an update to their most important product. But it also has a basic design flaw, which, for a company that prides itself on having the best design in the world, is a PR disaster. I’m a big fan of the iPhone 4. For many reasons, it’s the best mobile device for podcasters, because it makes mobile podcasting of audio and video fairly trivial. And the antenna issue, while real, has had no impact on my use of the phone. Nevertheless, the iPhone represents a multi-thousand dollar commitment for buyers – and the last thing you want to do after spending a couple grand on a phone is spend your next day answering people’s questions about whether you have to wear gloves to make calls. The iPhone 4 may be the best phone ever – but I think the PR experts are right: an iPhone 4 recall is probably inevitable. What do you think? Is the new iPhone’s antenna problem overblown, or do you think an iPhone 4 recall is inevitable, too? I think Apple needs to swallow its pride and admit there is a real problem with the iPhone4. Once that is done a recall is necessary. What I think will actually happen is that Apple will take the approach the Fonz took in Happy Days when he tried to say sorr…soh… soor… s…sorr… He just couldn’t say sorry – much like Apple will have real difficulty in saying they got the design wrong. I am in the market for a smart phone. I have a Blackberry and an iPod, both of which have seen better days. I am also a serious amateur photographer – an iPhone is the obvious choice for me. At the moment I can’t buy one and I won’t unless and until they sort this problem out. Yes – they should just send early buyers a $50 Apple store credit for a case and then update their manufacturing process to coat the antenna with clear varnish or something. That mea culpa about the bars was a bunch of garbage and made me angry at Apple. My guess, though, is that they do nothing. Even though the tech blogs are having a cow about this, actual customers are keeping the new iPhone backordered. Why would they want to mess with that? If it’s a PR disaster, then why do you think people are queuing up at stores that have stock? It’s a little overblown, all phones can be prone to this issue, but because it’s apple…..
To solve this send everyone who bought a iPhone4 a case, this would not solve the problem, just relieve it – reducing the flesh conduction of signal, and provide case with all existing stock. A redesign is then in order. 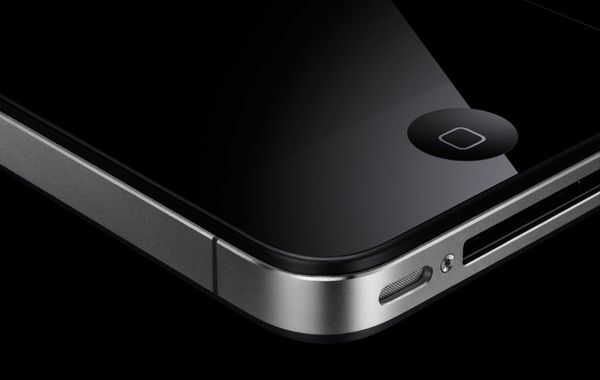 Apple does need to swallow it’s pride and admit that the iPhone4 is a flawed design. Good thing my contract on my iPhone 3g still has 8 months to run. I’m still losing bars even with a case, but not losing service completely. I am extremely torn. On the one hand, the software and general hardware addons are exceptional. On the other hand, the point is to have a good solid connection. Crap. No recall, but Steve Jobs actually handled this pretty well. How come nobody is complaining about the way that Apple and every other phone vendor have been inflating the signal bars?